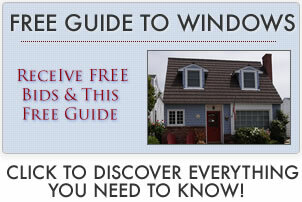 Our Traco windows reviews offers opinions on these windows. Unfortunately, there are not any homeowner review excerpts available on this manufacturers. There are very few consumer opinions on Traco due to the fact that Traco is, for the most part, a commercial manufacturer. Traco is one of the divisions of Kawneer, which is owned by Alcoa. Confused? Don’t worry because if you are a homeowner, you will probably not be contemplating Traco windows in your home anyway. Traco windows are sold almost exclusively to developers and builders in the construction and commercial markets. In 2010, the company was purchased by Alcoa, which wanted a window manufacturer as part of Kawneer North America, which offers energy efficient building products to the commercial building industry. Because Traco produces windows for commercial and architectural purposes, there is little information available as to their prices. In all likelihood, their windows are custom made for large scale projects in large single order numbers. Traco began in 1943 and was originally known as the Three Rivers Aluminum Company. They made aluminum frame windows and doors with an emphasis on glass tempering and insulation. At their height, the company employed 650 people in their headquarters in Cranberry, PA. Traco is perhaps best known as the company that replaced the twenty five windows for the crown of the Statue of Liberty during its restoration. Prior to their purchase, Traco sold their windows and doors to be the commercial and residential markets. They also produced skylight windows, sunrooms, patio rooms and folding glass walls using composite, thermal aluminum and vinyl materials. Traco was headquartered in Cranberry, PA and had been a privately held company since 1943.